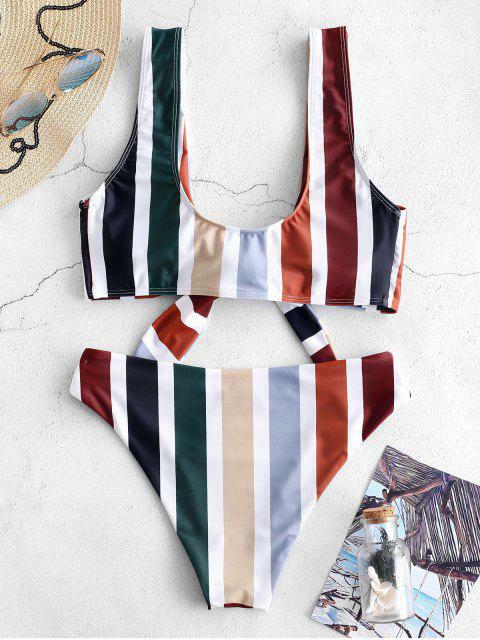 [34% OFF] 2019 ZAFUL Colorful Striped Tie Front Bikini Set In MULTI | ZAFUL ..
Super cute!! Just looks a little different from the picture in my opinion! Went out on a limb to buy being that there are no reviews, but I am still happy with my purchase! But now we have a review for everyone to see! True to size and fits well! I got a large and it fits well, I’m 5’7 & 150 pounds. Super cute! 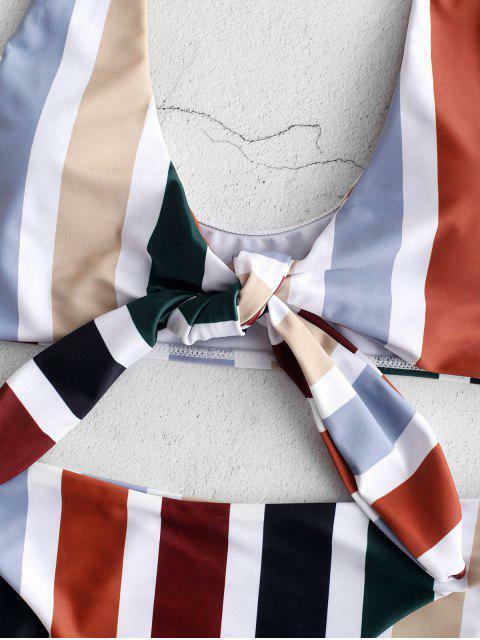 All-over stripe patterning to add dimension to the aesthetic, the tank top is designed with wide shoulder straps and the weighty tie at the front. 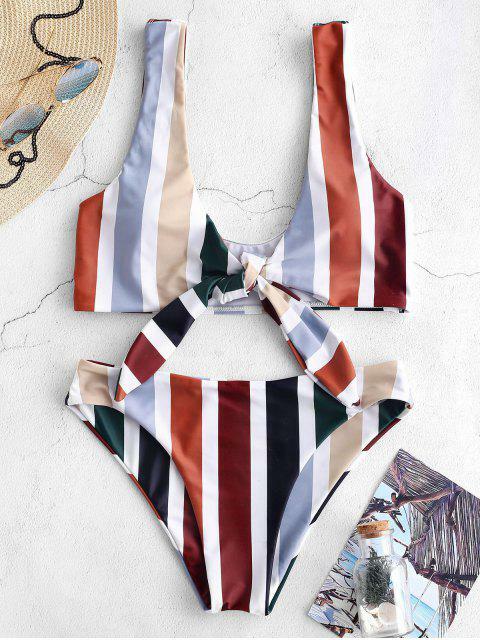 Add the corresponding briefs and accessorize with a wide-brimmed hat and oversized sunnies to sunbath by the beach.